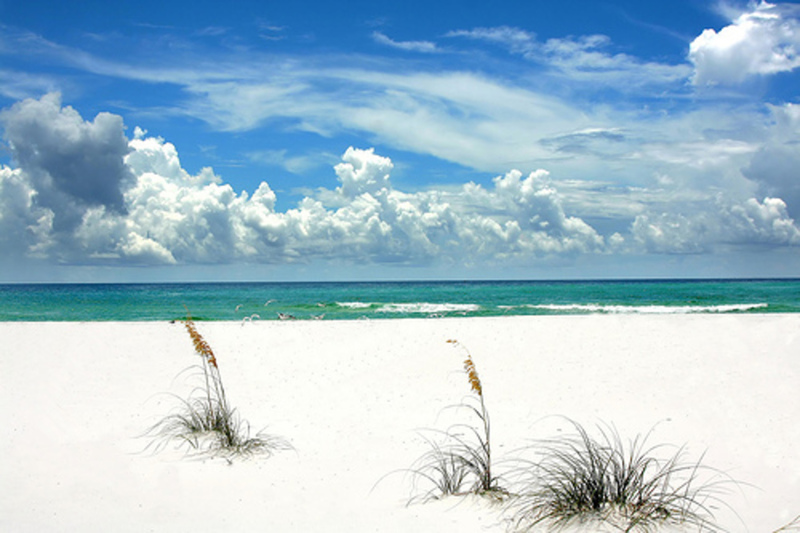 The beautiful white as sugar sand in Destin is not easily matched anywhere else in the world and underlines exactly what Destin has to offer. The Emerald Coast is without a doubt a gem to appreciate. On the water head out to Choctawhatchee Bay in order to catch the challenging and evasive redfish, or rent out a pontoon boat to relax outside Destin Harbour on Crab Island, a sandbar hotspot where hundreds of people relax in the waist deep crystal clear waters. Book Destin boat rentals for your fishing adventure on the Choctawhatchee Bay and experience the scenic views of the Emerald Coast. Fishing in the calm bay backwaters is a relaxing way to have a great time with the family. You might catch redfish, speckled trout, and black snapper, or you might even end up with a 30-pound (catch and release!) bull redfish on your line. 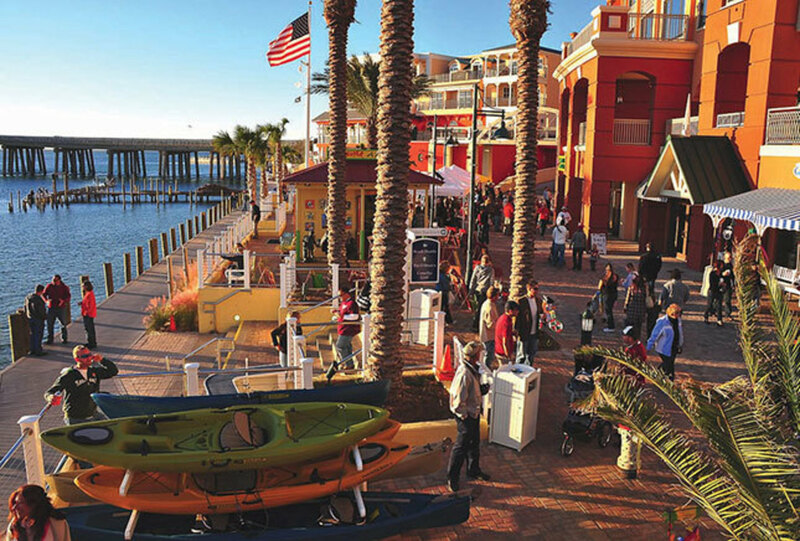 After all, Destin is known as “the world’s luckiest fishing village.” Remember to bring your camera! Joe’s Bayou is a fun place to sightsee, with beautiful houses along the shoreline, as well as plenty of opportunities for watersports. Norriego Point is located at the very tip of Holiday Isle and separates Destin Harbor from the East Pass. It’s a great place to watch other boats go by and people watch, or take a dip in the water and lounge on the sugar-white sand. So, you’ve heard of star gazing, but have you ever sand gazed? You will in Destin. If the sugar-white sand at Henderson Beach State Park literally appears to sparkle, you’re (hopefully!) not suffering from heat stroke. The sand is made of pure Appalachian quartz, which not only remains cool in the summer, but also gives the waters their emerald hue. Henderson Beach State Park offers a slower paced alternative to crowded beach resorts and is easily accessible, just 3 miles east of downtown Destin on the Emerald Coast Parkway. 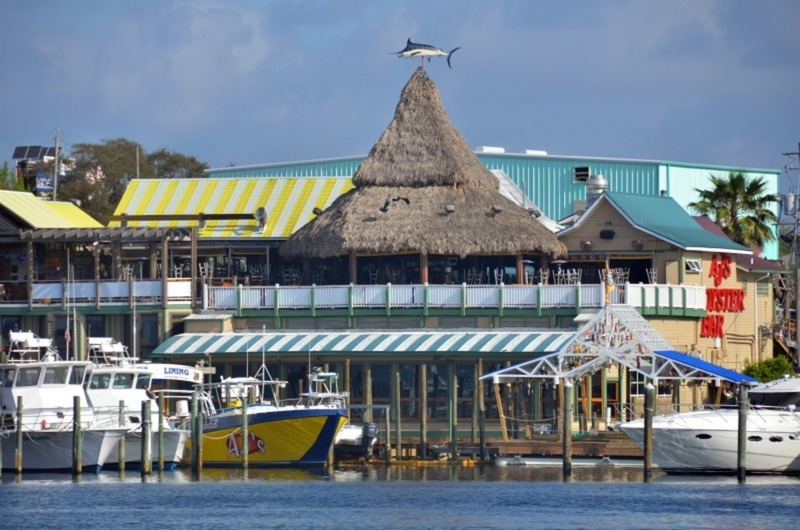 An enticing choice in Destin is always enjoying mighty fine and fresh seafood from one of the many restaurants situated on the dockside. Dewey Destin Seafood is often a popular choice, offering seats outside in full view of the water, adding a new element to your dining experience. Another fabulous eatery dockside to the water is the local favorite, Marina Café. With amazing food and even better views, it’s a perfect location to enjoy the evening and watch the sunset, without draining your wallet. 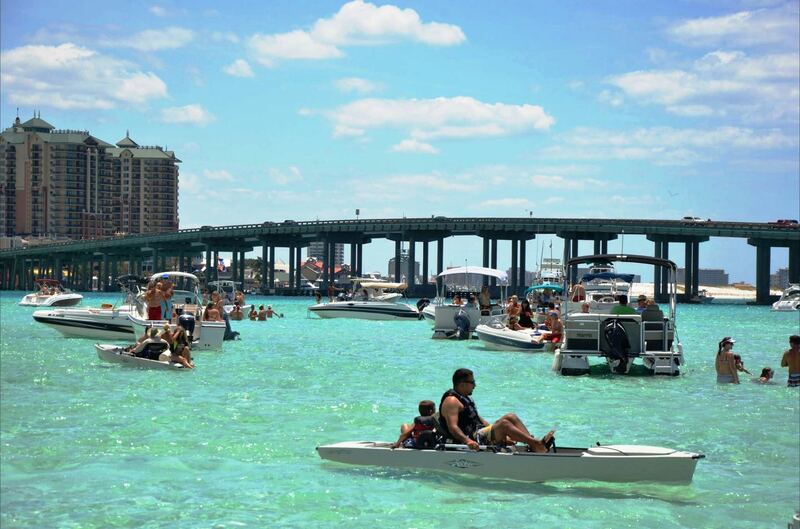 Crab Island is one of the main driving reasons behind why Boating Magazine voted Destin “Top 10 Places to Live and Boat in the United States”. Due to eroding tides, Crab Island is now an underwater sandbar and only accessible by boat. 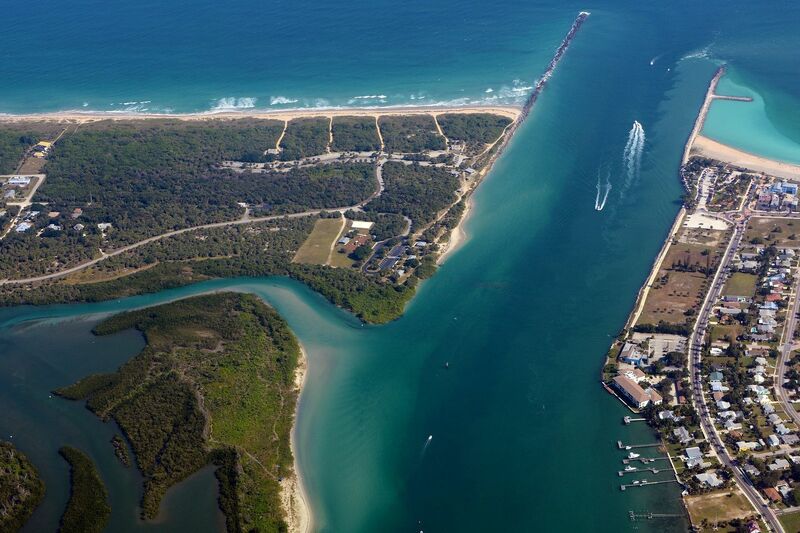 Once anchored up, there are plenty of activities to keep you and your family entertained, with snorkelling, relaxing on the boat, and exploring Crab Island Waterpark that offers slides and trampolines for the kids. The floating food vendors will mean you never have to leave. The Desoto Canyon is home to some of the biggest fish in Destin. The Desoto Canyon itself is a large underwater canyon just a few miles off the shoreline in the Gulf of Mexico. With record breaking swordfish lying in its depths, a new and interesting challenge presents itself to those fishermen who are up for the fight. Many charters sail out this way, and with squid as their bait and the correct depth and drift, plenty of swordfish are waiting to be had. Harborwalk Village provides a one-stop shop for a whole range of activities. Providing places to grab a bite to eat, waterfront shopping, a whole host of watersport rentals, glass bottom boats to see the beauty of the underwater, dolphin cruises, and much more. 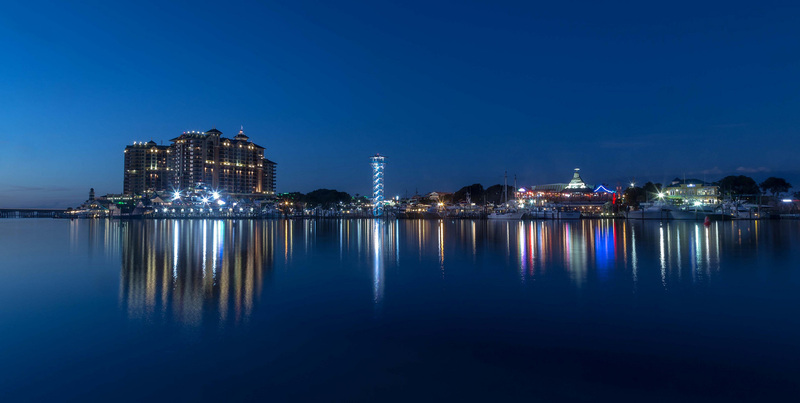 With weekly firework displays and live music, the Harborwalk Village is suitable at any time whether it’s a quick day trip or week long vacation. The Destin jetties are a popular snorkeling destination. These large rock formations were originally placed at the entrance to the Gulf of Mexico in the East Pass by the Army Corps of engineers in an attempt to alleviate erosion and establish a marine habitat for various sea life. The emerald green waters provide the perfect backdrop for viewing marine life, and are a must-see if snorkeling is on your list of things to do. Gator Beach provides a safe, family friendly adventure where you will learn everything you ever wanted to know about alligators. 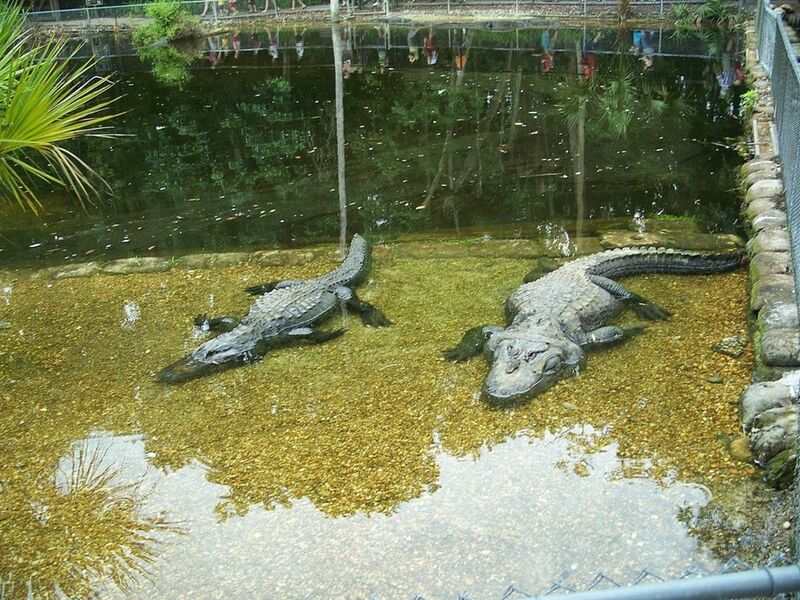 Don’t miss the free educational wildlife exhibit, which includes an artificial wetland pond housing 100 live alligators. If you’re feeling brave, you can also feed the gators and hold them in your hands. (Don’t forget to have your picture taken!) To feed the alligators, you will attach a piece of specially formulated gator food to a cane pole and lower it into the pond. Sounds perfectly safe, right? 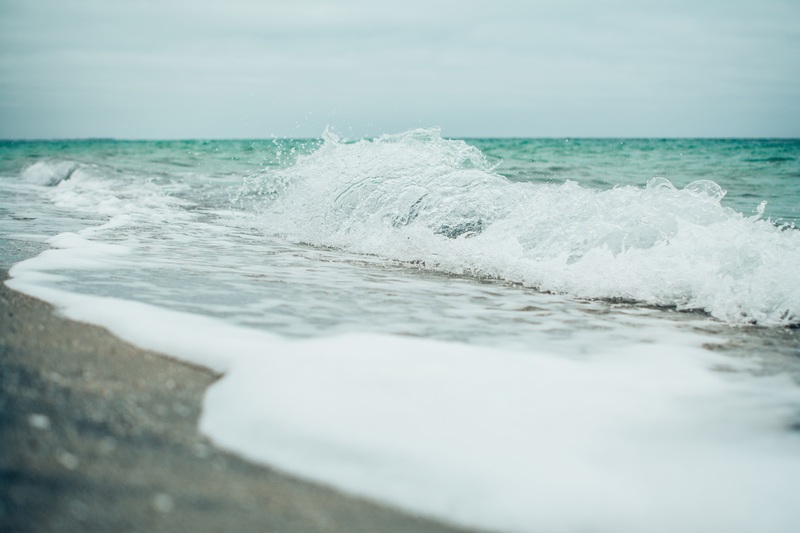 Gulf Islands National Seashore provides 4 miles of natural, undeveloped seashore along the Choctawhatchee Bay and is the perfect place to pull up on your rental boat and enjoy the day with your friends and family. Search for seashells along the shore, snorkel along the shallow waters, or work on perfecting that golden tan from the comfort of your boat. Whether you are an experienced pro with legendary fishing stories or casting off for the very first time, Destin offers deep sea fishing charters for every skill level. 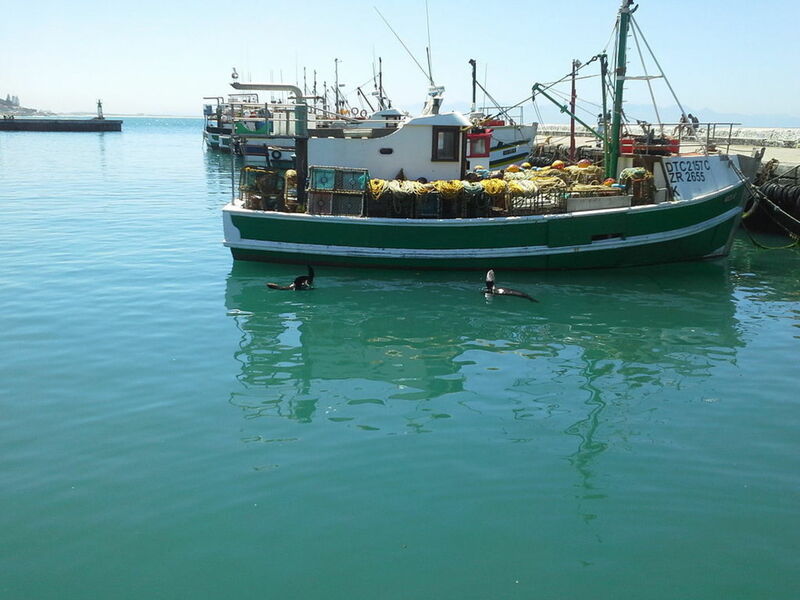 Fishing charters are available for offshore fishing, inshore fishing, and even overnight fishing. Experienced captains with years of experience will welcome you onboard, while charter boat packages ranging from novice to experienced will cater to your every need. 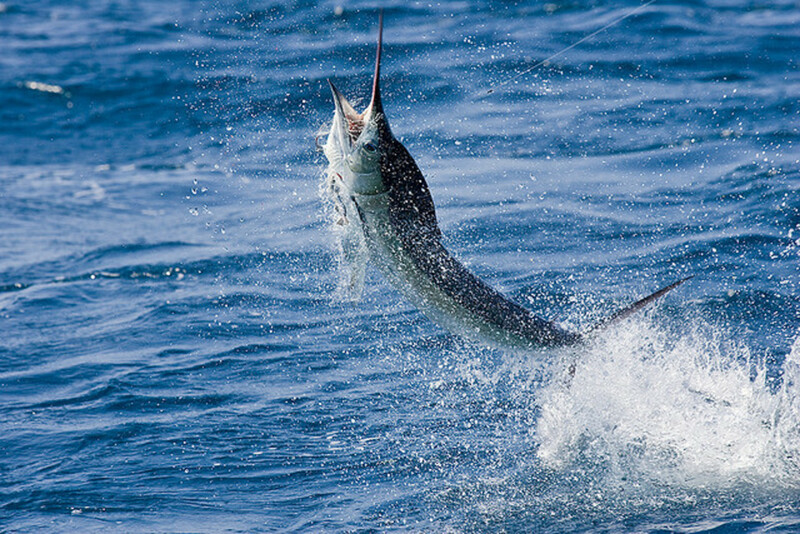 One thing is certain: a deep-sea fishing adventure in Destin will be truly unforgettable! The Emerald Coast has a lot to offer, due to the pristine sand and beautiful waters. Many people are left wishing they could beat the crowd. 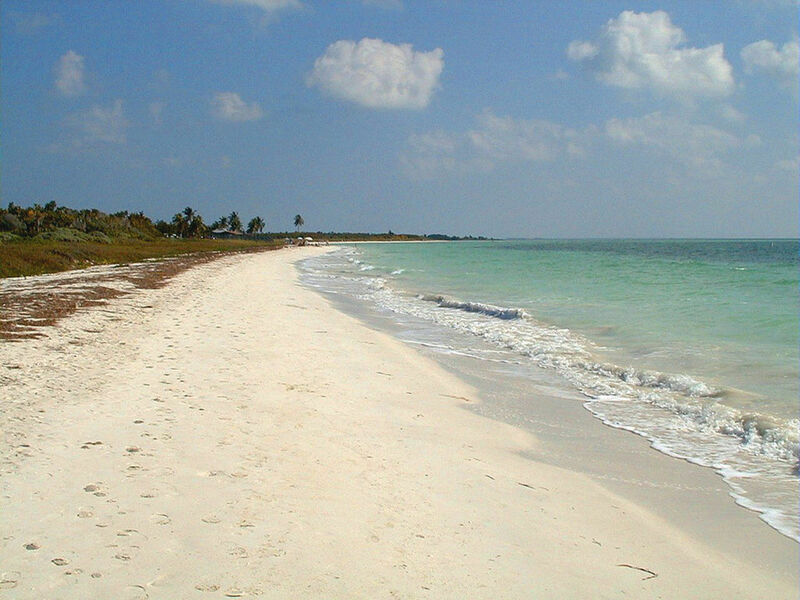 However, what fewer people realize is the amount of large accessible remote beaches offered in the vicinity with a little bit more privacy outside of the typical tourist beaches. Henderson Beach State Park, despite being conveniently local to Destin itself, offers a more secluded and clean beach, with plenty of amenities like pavilions to use when the sun is a bit too bright.